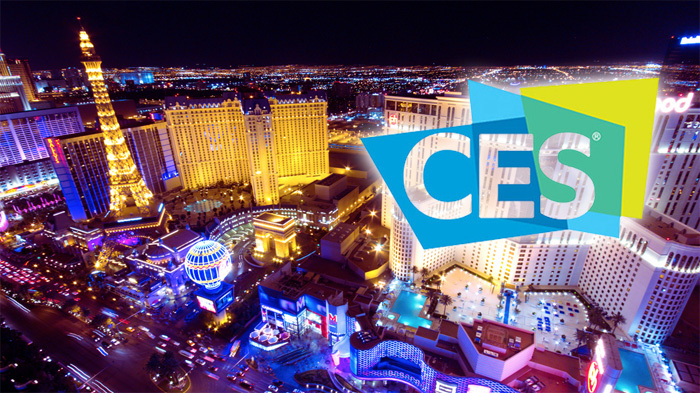 The Consumer Electronic Show (CES) starts January 9 and ends January 12. CAN technology is mainly invisible, it is doing its job on the backstage. Consumer electronics is a big business. It is increasingly IT driven. No surprise that since a couple of years the automotive industry is well presented at the CES tradeshow in Las Vegas. Money makes the world go around and cars are computer systems on wheels. High-end cars comprise more than 100 electronic control units (ECUs) and they are already multi-media centers. In the future, they will drive you autonomously, so that you have time to surf on the World Wide Web or to consume other media during any ride. In this business the automotive industry likes to participate and not leave this to the IT enterprises. Every year, CES calls the consumer electronic freaks and nerds from all over the world, to see what is new and to observe the future trends. As usual, CAN is not a hot topic, but it does its background job and in few cases, it pops up and becomes visible. This year, the Chinese IT heavyweight, Baidu, will launch the long-expected Apollo 2.0 project. It is a comprehensive leap for China's autonomous driving technologies. More than 200 partners support this project. The recommended reference hardware is based on the Nuvo-5095GC computer by Neousys Technology (Taiwan). This computer uses the GTX 1051Ti graphic card by Nvidia and Intel’s 6th generation processors. To communicate with the CAN in-vehicle networks, the computer provides PCI card slots. 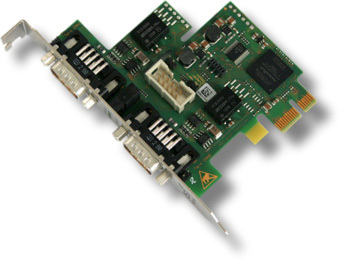 ESD’s CAN-PCIe/402 interface boards are recommended for Baidu Apollo development partners. They provide up to four CAN ports and implement the company’s esdACC CAN core. CAN in-vehicle networks are essential for most of the demonstrated autonomous driving cars. FEV (Germany) shows in Las Vegas its Cyber Security Gateway (CSG). The CSG is linked to the CAN-based in-vehicle networks. It detects and prevents malicious attacks, and can also function as a firewall between the external interfaces such as WiFi, Bluetooth, cellular phone, and OBDII port, in order to protect the vehicle from these potential remote security threats. Cyber-security is an important topic at CES 2018: Karamba Security (Israel) shows its SafeCAN, a cyber security software that protects CAN networks from hacking by authenticating in-vehicle communications with zero network overhead. All these security protocols are as good as door locks are. They protect a single interface properly, but the car needs a security system strategy. It does not help to protect the majority of the vehicle’s interfaces. Just one not secured interface allows an attack to be successful with just minimum effort. More than 3 900 companies exhibit in Las Vegas at CES 2018. They will show consumer electronics to more than 180 000 visitors. This tradeshow is the early in year highlight for the media: more than 7 000 editors from all over the world will join the exhibition. The exhibited technology covers anything from 3D printing and robotics to electronic gaming and smart homes to vehicle technology and lifestyle devices. The first CES kicked of in 1967, with 250 exhibitors and 17500 attendees in New York City. Since then, CES has grown by more than 10-fold and now encompasses both traditional and non-traditional consumer technology industries. In the meantime, CES is the world’s gathering place for all who thrive on the business of consumer technologies. A high-level business event that touches all industries, it’s the place where business gets done. The event organized by the Consumer Technology Association (CTA) is a platform for innovators of all sizes to build their brands. Many of the major technology companies participate in the CES in some way — by exhibiting, speaking, sponsoring, attending or holding co-located events and business meetings. In total, there are more than 1 200 presentations. CES 2018 will provide mainly new ideas not related to CAN at all. This includes charging smartphones over-the-air, large OLED screens, and Intel’s 8th-gen core processor combined with AMD’s graphic processor. Amazon’s Alexa, one of the CES 2017 highlights, is also good for some improvements. At CES 2018, Google, Samsung, LG, and Sony will show off their innovations and tease new technology to come.